Next up in the IWA 2017 show reports is Shield Sights! Shield are a family run business who design and manufacture high performance Red Dot Sights for Military, Law Enforcement and Civilian use. 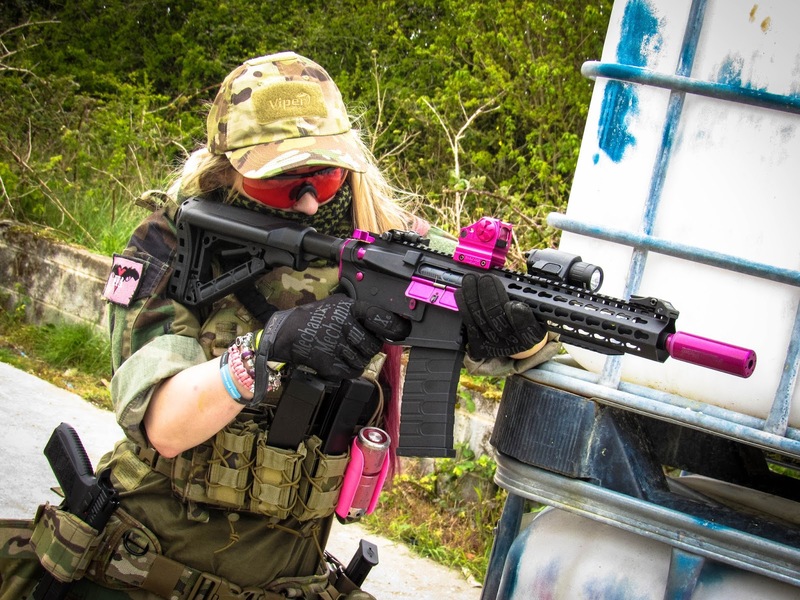 I have ran my Cerakoted pink Shield CQS and SMS sights for the last year and half and they have both held up fantastically, from being dropped down a 6ft storm drain to being shot and sat in the pouring rain. I have always been really impressed with the Shield range of optics so let's see what's new for this year! This year Shield are launching their RMS (Reflex Mini Sight) after receiving feedback from their customers that showed a demand for a metal design. 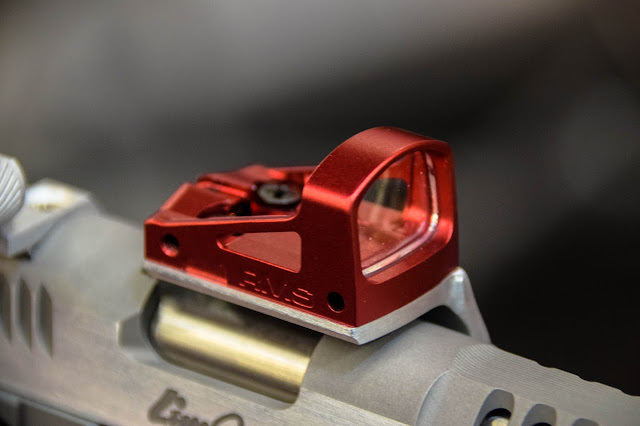 This particular sight is made from aerospace aluminium and the new design offers the shooter an accessible battery drawer for a quick battery change. 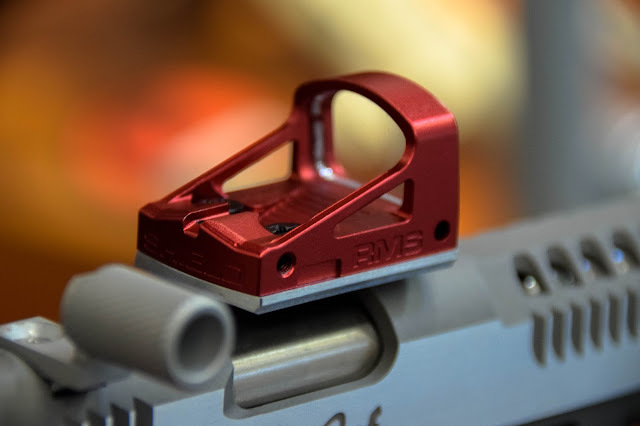 The RMS is a glass filled polymer sight that has a Reflex - x1 lens with a true colour/anti reflection coating. It's light source is LED and it is available in 6 different dot sizes. 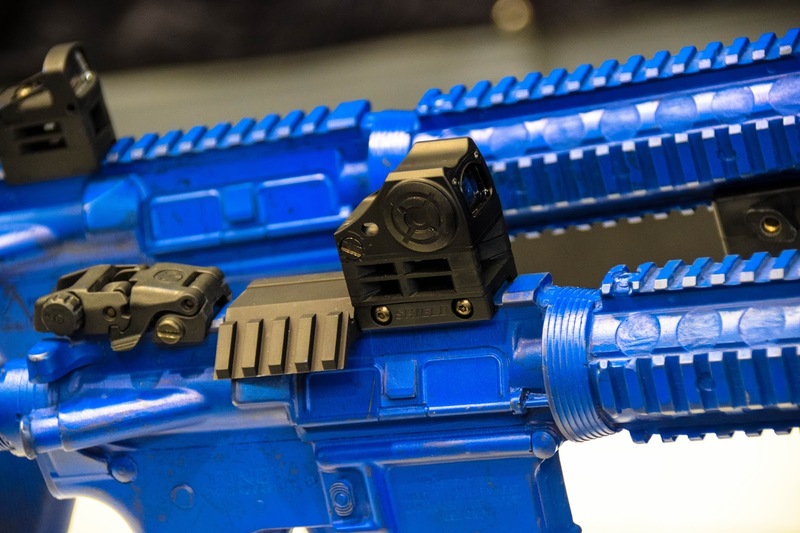 It runs on 1x 3V Lithium battery (CR2032) that is housed in a removable drawer and the battery has an average life span of 3 years - one of the cool features of these sights is that you do not have to turn them off. This sight is also compatible with Night Vision Goggles. It weighs just 14 grams and operates in temps from -46 degrees Celsius to 49 degrees Celsius. 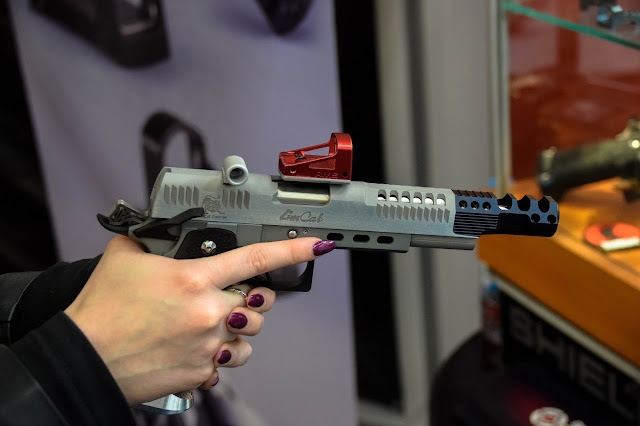 The only downside to this sight is that it isn't waterproof but it is a perfect pistol mounted sight for competition shooters. The standard colour is matte black but the sights can be Cerakoted on request! 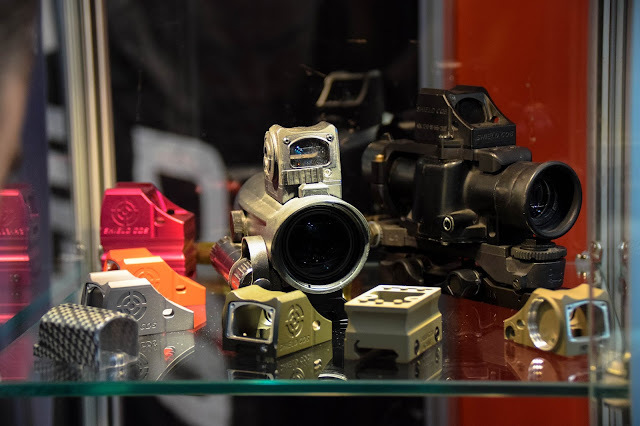 At IWA 2017, Shield also had on display some of their other signature sights! The Shield CQS which is what I run on my G&G Black Rose Version 2. 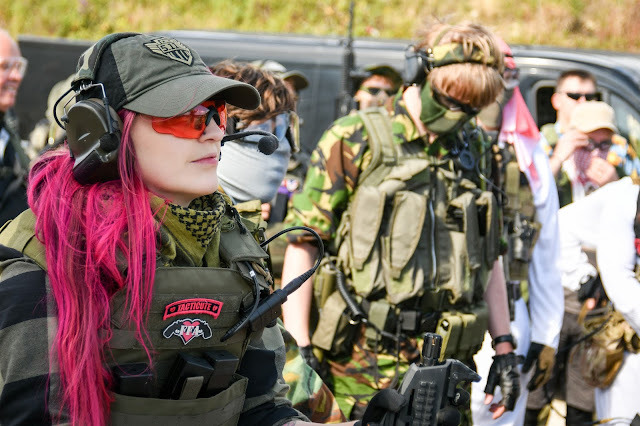 It's built upon the combat proven CQB sight framework and was developed using the expertise gained whilst training, testing and manufacturing many ruggedized military products! The CQS is the smallest, lightest and toughest in its class of sights and offers a full field of view with an automatic brightness adjustment. I cannot sing the praises of this sight enough. It is made from hard anodized aluminium with a matte black finish but like the RMS they offer Cerakoting. It comes in 6 different dot sizes, has a 1 year battery life, weighs just 64 grams, is waterproof and works in temps of -46 degrees Celsius to 49 degrees Celsius. Like I said this sight has gone through a lot of abuse and is still performing skirmish after skirmish!